Koshigaya Plum Park(越谷梅林公園) is located in Koshigaya, Saitama. There are 40 kinds, 300 Japanese Plum trees, Ume, are planted. 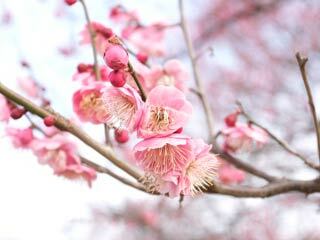 From the Middle of February to MIddle of March, Ume will be blooming beautiful flowers. You can enjoy great color arts of white, pink and red, with nice sweet smell. There is parking and restoom.